As we are nearing Christmas it seems only fair that I put the spotlight on my favourite festive chocolate, Terry’s Chocolate Orange. Whilst they’re good all year round (damn you supermarkets!) there’s nothing better than scoffing an entire chocolate orange as a main meal throughout December, and feeling no guilt. 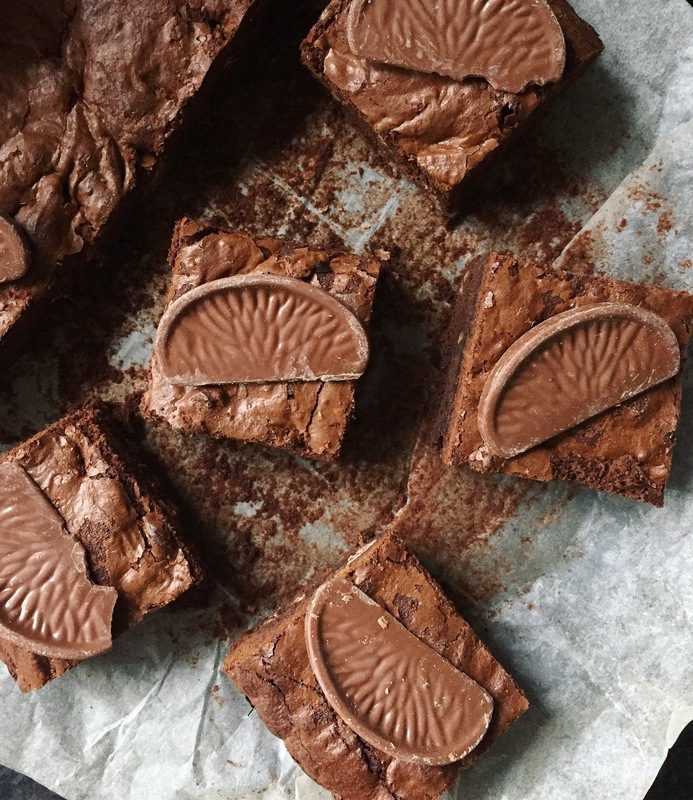 These brownies are rich, fudgy and bursting with orange zest plus lotsa chunks of chocolate orange, obvz. These little lovelies are so easy to make and deserve to be paraded on your festive dinner table or packages up as homemade goods for your besties. NOTE: The brownies will keep in an airtight container for up to three days. Leave the brownies to cool in the tin and then place in the fridge for 2 hours before serving (this last step is optional but I find it makes them easier to cut and enhances the fudgy texture). Return to room temp before serving and enjoy! Love this recipe? Why not try my some of my other brownie recipes here. Don’t forget to follow me on Instagram and Twitter too. Never have been a big fan on Orange chocolate combination, but this with real oranges sounds great.